Turn this well maintained lot into your dream home! 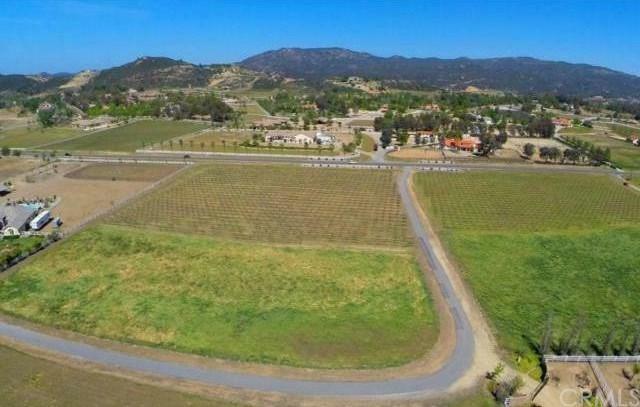 This lot is priced to sell and has everything you have been looking for in a great part of wine country. The lot includes 3 acres of 40 year old Cabernet vines that produce roughly 5 tons of grapes annually. La Cresta is Temecula's premier location for Cabernet vines and the vines are currently maintained by Weins winery. Over 2 acres of the land is suited to build the home you have always wanted, utilities are easily accessible, and there is a water well on the property. Whether you are looking for great vines, equestrian potential, or a piece of land with tremendous building potential, you won't want to miss this opportunity. Sold by Annie Wang of Re/Max Omega Monrovia.